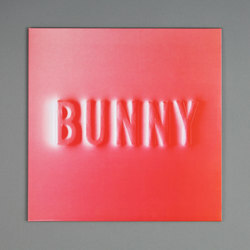 Matthew Dear - Bunny. Vinyl LP, CD. Bleep. 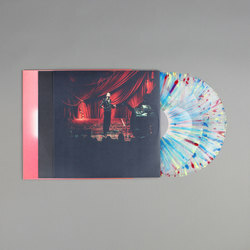 Landing nineteen years since his breakthrough debut 'Hands Up For Detroit' was released on his home-imprint Ghostly International, Matthew Dear shows no sign of slowing down with the delivery of his sure to be heralded best LP in an age, Bunny. Working around a tightly wound tempo of years in the game perfected tech-house, Matthew Dear dials in some of his finest polyphonic arrangements to set the scene for his trademark crooning vocal style, which rightly so steals the stage. Tracks like 'Echo' with its Nitrous was the drug of choice chorus carry the sort of laughter-friendly sugar rush insanity of doing a balloon in slow motion, this humorous aspect adds playful dimensions and a proper sense of fun to the music. While 'Calling' splits between an explosive delivery of the exhilarating and way out west sonic weirdness. Not content with writing just electronica hits, the instant earworm of 'Modafinil Blues' and 'Electricity' are primed for the DJs to optimise dancefloor delivery, yet they never lose sight of the dreamy logic that makes Dear’s music such an addictive proposition. 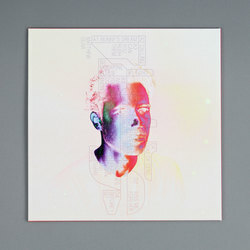 For those looking for points of reference, the recent Warp movements of Yves Tumor come close for sheer outsider pop inventiveness, but until John Maus starts tinkering with techno, we can’t really think of anyone that really sounds like Matthew Dear. Using platforms of pop(ular) music inc. house, techno, blues and indie he manages after two decades in the business to still craft a new album that feels like it's discovering brand new uses for these tools of the trade. 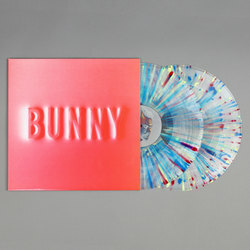 Throughout Bunny, Matthew Dear bounces ideas off each other in a reflective hall of mirrors made from frosty techno, electro and synth-pop. In a recent tweet he proclaimed “I make music strictly for people who like my music” with just one listen, we are sure that anyone new to the Dear’s musical encapsulation of the above will be sure to join the legions who stalk the Dear in the new hunt to capture the Bunny.